Just Listed :: Amazing Ashford Park Restoration! Welcome home to this all American charmer! 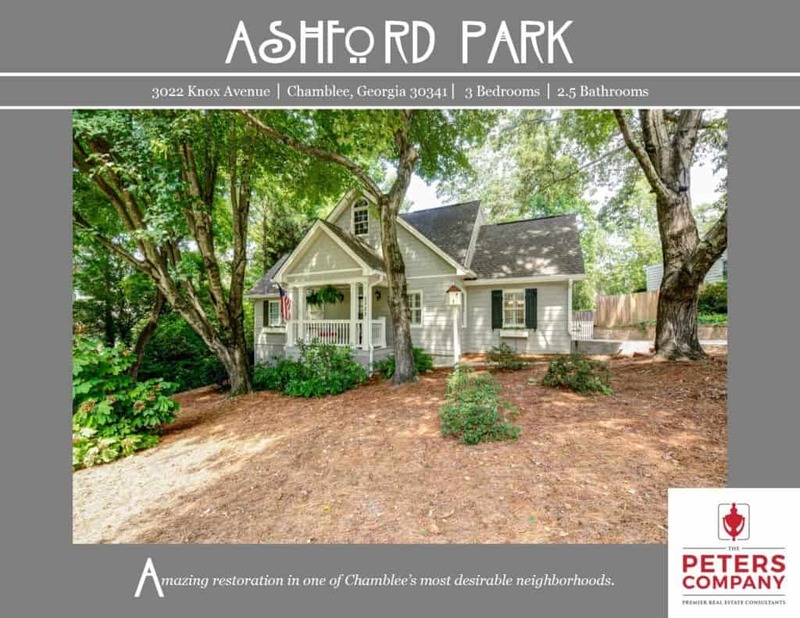 Located on a wonderful corner lot in Ashford Park, this home is just what you’ve been looking for. The custom features and charming character will never go out of style. The close proximity to Peachtree Road, I-85, and GA400 makes it convenient to and from any direction. Did we also mention that you are literally only minutes from all your favorite hot spots at Village Place Brookhaven and Town Brookhaven as well as many of the new developments coming to the City of Chamblee? · Kitchen features stainless steel appliances, granite countertops, tile backsplash, travertine floors, spacious pantry, and a large breakfast room perfect for casual meals at home. · Living room boasts neutral colors and a custom built-in media space. · Separate dining room is perfect for entertaining guests or hosting holiday gatherings. · Gleaming hardwood floors, 9ft. ceilings, and beautiful trim work are carried throughout the main level. · Master suite is a true retreat including dual walk-in closets and a large sitting room ideal for a home office or nursery. · Spa-like master bathroom features dual vanities, jetted tub, separate shower, and travertine floors. · Additional bedrooms are well sized and bright. · Wonderful outdoor space includes a large deck overlooking the fully fenced backyard as well as a relaxing rocking chair front porch. · Convenient location close to interstates, restaurants, and shopping.